Some creative sports fans who celebrate Easter are getting creative with their gift giving this season. 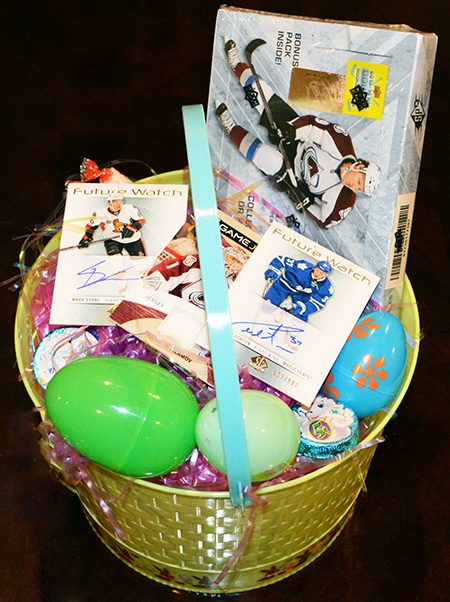 Recently we saw a couple great images of Easter Baskets we really loved where Upper Deck packs and were cards were used. The first one is for a younger collector who loves NHL® hockey cards and it came out really nice. And then was an Easter Basket for an adult collector from his wife with a little more higher-end chase involved. 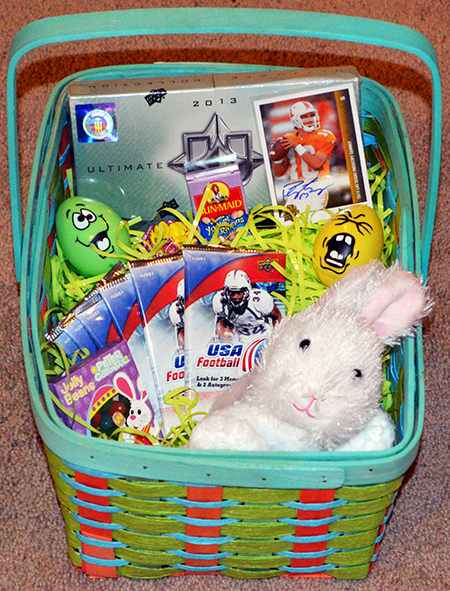 If you are looking to put together an Easter Basket for your loved one who loves sports, make sure to include some Upper Deck packs, insert cards or even memorabilia.